John Amato is the Vice President of Magellan Jets’ Aviation Consulting Group. This team is responsible for developing tailored solutions for discerning travelers who might benefit from Magellan’s portfolio of premium, full-service private aviation solutions including jet card memberships for individuals and corporations, as well as on-demand charter services. Prior to joining Magellan Jets Amato served as the Vice President of Sales & Marketing at Data Center Systems from May 2013 – May 2015. In this role he oversaw the repositioning of their brand and brand messaging as well as the development of Data Center Systems sales organization in response to growing demand for innovative data management connectivity solutions. From 2001 – 2013 Amato was the Vice President and Publisher of tech media brand Computerworld. As the brand evangelist for Computerworld, Amato spoke at numerous industry events while overseeing the revenue teams for Computerworld’s display and custom publishing programs as well as integrated marketing and face-to-face events. 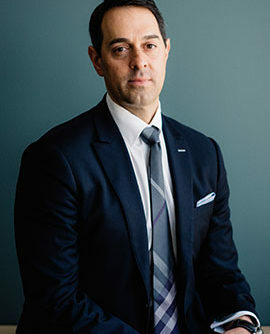 Prior to taking on this role, Amato held the positions of associate publisher and vice president of business development for Computerworld’s strategic programs and events. Before joining Computerworld, he worked as vice president of business development for CXO Media’s Executive Programs and held various senior management positions at Key3Media, Clear Channel Broadcasting and Capitol Records/EMI. Amato holds a bachelor’s degree in business administration from the University of Southern California in Los Angeles.